The weather has seen a gradual improvement over the weekend but it is not expected to last as we are going to see more downfalls of rain hit our little island. The summer isn’t feeling so summery but that does not mean you have to change your plans and lifestyle for this long awaited season. We have become accustomed to this weather but there are ways to get around it. Our Outdoor Living Pods™ intricate design has been specifically engineered to provide sun, shade and shelter so that you can maximise your outdoor living lifestyle no matter what the weather conditions. 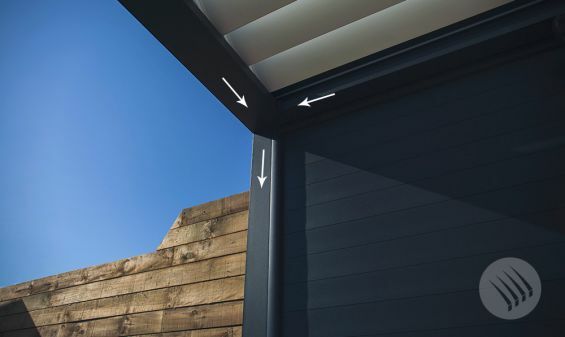 The no-corrosive aluminium louvered roof system is electronically operated to give you complete control at the touch of a button; the louvers rotating upto 150 degrees (dependent on system) to give you precise sun control and ventilation on a hot day. 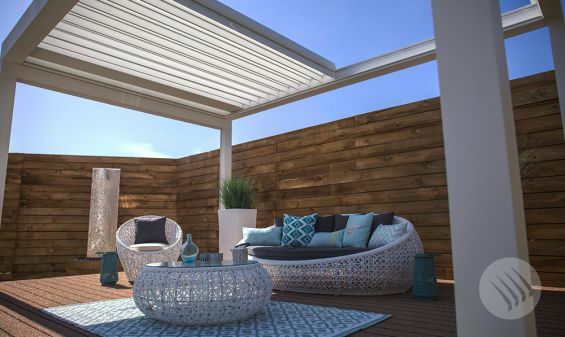 Our Prestige model Pod louvers not only rotate but the entire roof retracts opening up to the sky to give you open air outdoor living when you desire. 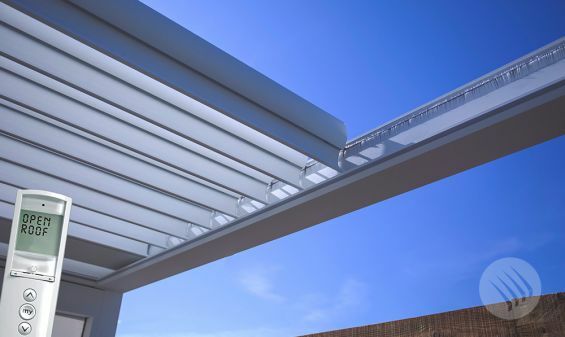 As soon as the weather takes a slight turn our contemporary designed patio pergolas are ready to lock their louvers, creating a watertight ceiling protecting from the harsh elements. The Outdoor Living Pod™ features an integrated guttering system covering the inside perimeter and connecting to down pipes within the post uprights to effectively drain the water collected from the roof. 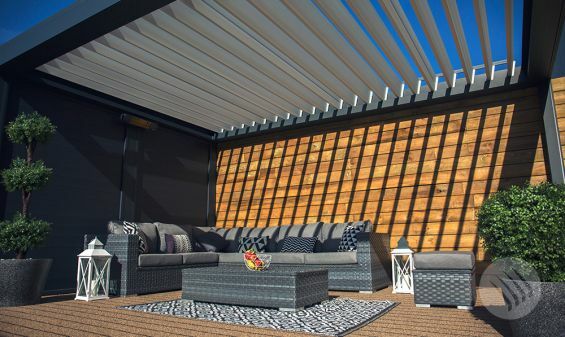 To add extra protection, our louvered canopies can come with optional fabric or aluminium side screens (Deluxe and Prestige version only) that deflect any low wind and rain trying to creep into the your outdoor living space.